Contractors Grade Coarse Traction Tape provides the anti-slip properties your facility needs to prevent slips and falls in both indoor and outdoor environments. Once installed, this tape is highly resistant to water, chemicals, and oil, so you won’t need to worry about replacing it frequently, even in tough, industrial facilities. 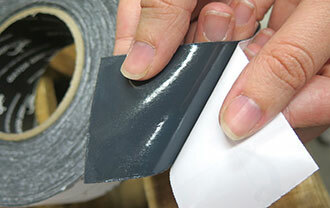 To install the tape, simply peel off the backing and press the tape to a clean, dry surface. Installation goes quickly, so you won’t need to worry about costly downtime. 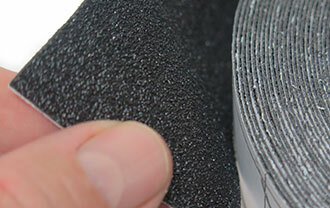 Contractors Grade Coarse Traction Tape’s coarse surface provides extra slip protection. We have used other traction tapes before and they tend to want to come up on the corners. This tape has held up tough and showing no signs of wear after 6 months of abuse. Thanks!